more and complete the minimum requirements in the water. Allows you to learn the basics in a group setting.You will become familiar with the equipment that you will be using and practice some basic skills in the water. Safety is our main concern, once comfortable, you are ready to dive. 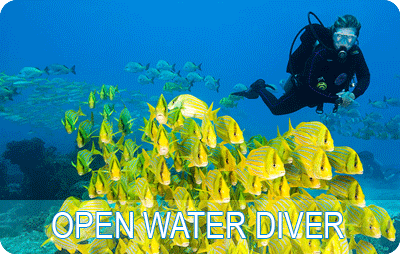 Open Water Scuba Diver is an entry level scuba certification course which you will learn the fundamental knowledge and skills in open water. When you complete this class you will be free to explore the underwater world and earn a Open Water Scuba Diver certification card. Gain more confidence and skills. 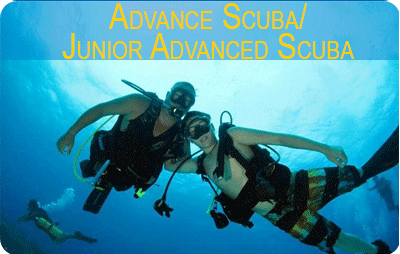 The Advanced Scuba Diver certification course is for 12-year-old and older certified divers who want more training. Ask for our Specialty courses. 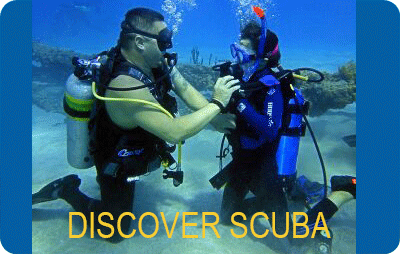 Gain the in-depth knowledge that will establish you as a recognized authority in your diving club or group. Thrill to the adventure of open water dives in settings that will test your abilities to their limit while expanding your diving capabilities and experience. 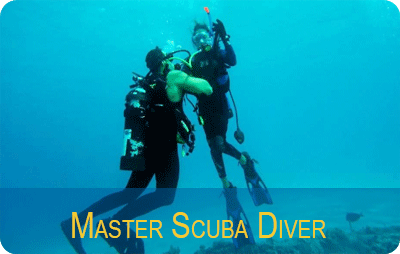 The Master Scuba Diver course is a continuing education certification course for divers who wish to increase their understanding and enjoyment of diving. This course is a progression towards Leadership roles. Extend your bottom time, lessen your surface interval, and maximize every dive. Learn how to choose the proper blend of Nitrox for your dive profile, determine maximum depth limits for your Nitrox mixture, analyze your breathing mixture, and plan and safely execute each dive. 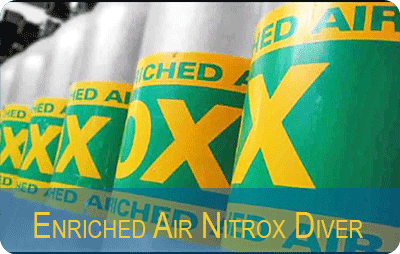 Your instructor can integrate your Nitrox course into your Scuba Diver course! 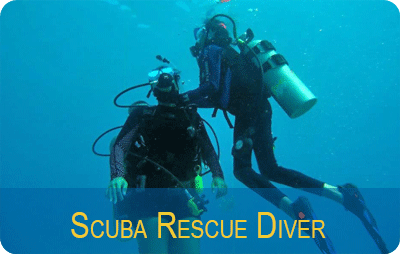 Once you are 12 years of age and a certified scuba diver, you can expand your diving knowledge with a Scuba Rescue Diver course. Learn how to manage risks and effectively handle limited in-water problems and diving emergencies. CPR and First Aid certifications are required to complete this course. Your Scuba Rescue Diver training moves you on your pathway to becoming a Leader: Skin Diving Instructor, Assistant Instructor, Divemaster, or Instructor.